This headline stopped my heart for a moment. At this time, when so many of us are working to help young woman understand that they can be themselves and can grow up to have the life they want for themselves, it is heartbreaking to see such a headline. It is becoming very clear that this is on the mind of many young people and we MUST face the facts. This article by Sarah D. Young in Consumer Reports is troubling. It talks about how ‘Feeling extremely pressured, stressed, and anxious’ can be life-threatening, but it also offers many suggestions on things that can be done if you feel your child (female or male) is struggling or at risk. Most importantly, if you are concerned about how you are feeling or about what someone you care about is going through, SEEK HELP! There are many possible interventions from inpatient care to talk therapy. 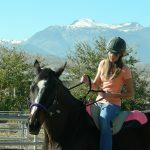 Equine Therapy can be a powerful part of an intensive treatment plan. We work with kids, teens and adults, on the specific issues they are dealing with. Horses are non-judgemental and accepting of us. 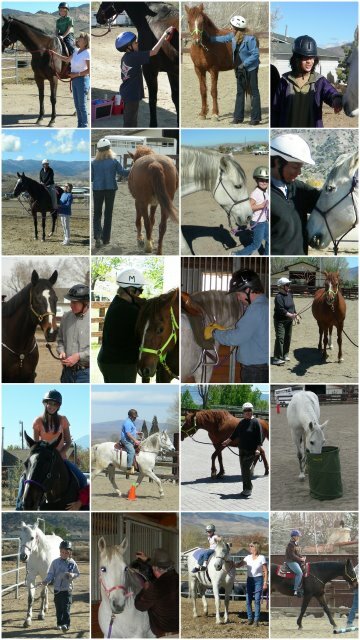 Work with horses can help clients learn to set and maintain safe and appropriate personal boundaries. They can help build confidence and self-esteem. They can help improve frustration tolerance and help clients trust themselves in decision making situations. And of course, they can touch our hearts. We are here for you. Call or email and we will schedule a visit. We will show you around the ranch, introduce our horses, learn more about what you are dealing with and share how we may be able to help. Again, the bottom line, if you are concerned for yourself of someone else, seek help. This entry was posted in Addiction, Anxiety Disorders, Depression, Eating Disorders, Grief, Mental Health, PTSD, Teens. Bookmark the permalink.